I haven't ran any benchmarks yet other than playing around with graphics settings in World of Warcraft. I'm able to crank every setting up to max except for view distance, which I leave at 7, and get a mostly rock steady 60fps. In LFR, I average 30-40 FPS during boss fights. My goal with this setup was to downsize from a high end gaming desktop as I found that all I used it for was Reddit and World of Warcraft. I wanted the ability to be portable with my primary computer due to work travel, vacations, and have the ability to bring it on the couch. I also wanted to switch from Windows to macOS as I prefer it for programming. I still have a lot of playing around with it left to do, but early indications is that it fits the bill exactly. The PSU in the Razer Core X is a little louder than I'd prefer, but its a "woosh" sound and not bothersome. I'm pretty sure that the Vega 64 Nitro+ is the biggest GPU this enclosure could possibly fit. @pierce28 Awesome. Thanks for sharing. I was thinking about getting a similar setup for my 2018 13" MacBook Pro with a Razer Core X and Sapphire Nitro+ RX 580 8gb. Glad to see that plug-and-play is working in OSX with the Razer Core X and AMD Cards. Have you tried setting this up in Bootcamp at all? Would love to see if AMD cards have gotten any easier to work in Windows with the 2018 laptops. P.S. Welcome to the community! Thanks! I've been lurking since November-ish when I started researching all this. I haven't tried Bootcamp yet since the Bootcamp drivers weren't out yet (I think I saw they came out last night). I never thought I'd say this, but I don't really have a need to install Bootcamp with this setup. @Pierce28 I would love to know if this setup works under bootcamp!! Sweet setup! Super jealous of the space grey Apple keyboard. Probably my all time favourite keyboard. I know you don't have much interest, but just in case that changes, I would also love to see if you get this going in Bootcamp. Hi, I am wondering what is the resolution of your monitor? Only 60FPS with a Vega 64 sounds a little weird. Are the Boot Camp drivers to be found online somewhere? And how do you know that the drivers were released? I installed Boot Camp but still run into some problems. I have a very similar setup working flawlessly in Bootcamp! 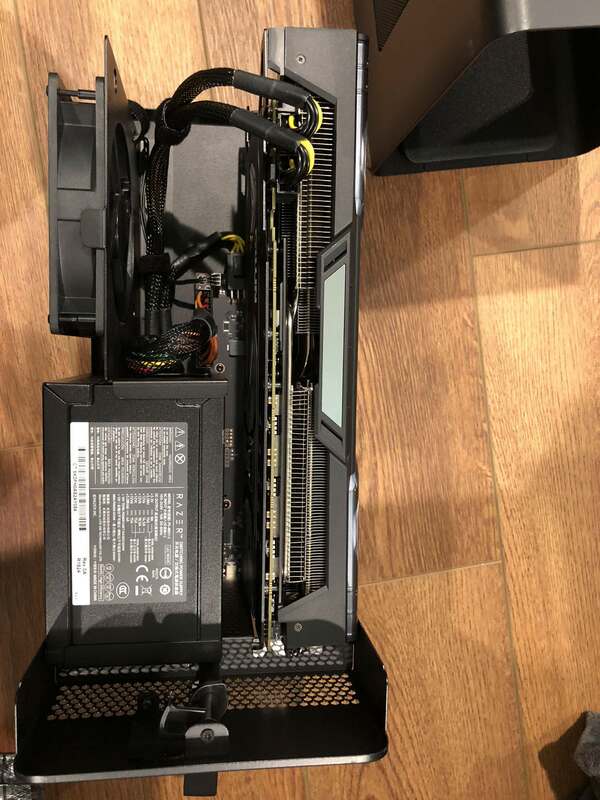 I bought Razer Core X myself but I have a problem with the shutdown. Basically the unit doesn't turn itself off when the laptop is shut down. The fans keep spinning and I have to either disconnect the USB cable or use the power switch. I also realised that the Razer support is the worst I've seen, you can't call it support even. For 3 weeks now nobody at Razer is helping and they keep sending automated messages that they haven't heard back from me. I would never buy a Razer product anymore as they just sell the things and don't care about the support. I have the same issue. How do you really shut the Razer Core X down? What is the best way? Ejecting in macOS takes ages, its really annoying and even after that I get the message that I didnt ejected it properly. Any ideas? My first official post here, and I wanted to start it off with thanking this community for being so awesome! 8. I restarted my computer and the AMD software welcomed me for the first time. Device manager recognizes the eGpu and it is actively running as I type this. However, now windows is in test mode (Build17134.rs4_release.180410-1804). I'm about to test the internal display to see if that is accelerating; if not, I will plug into external monitor and test that. Some games, like fortnite, will not run in test mode. When I disable test mode, the error 12 comes back! From what I've read, the test mode pops because I installed software not approved by apples bootcamp firmware, or something to that effect. Worst case, I will uninstall AMD drivers and reinstall the bootcampdrivers.com drivers and see if the test mode is fixed. I will report back with my findings later tonight. I hope this helps someone get their rig moving in the right direction. FWIW: the gigabyte box is plug and play in OSX HS. It works perfect with external displays, but I can't get it to accommodate internal display acceleration properly for certain applications. Edit: Its alive! Successfully accelerating the internal screen with drivers from bootcampdrivers.com. I just played a round of fortnite on all high settings and internal display while seeing stable 50 fps. Wow this was quite a bit of work to get it all going haha. Thank you for being so understanding and waiting for any updates regarding your case. We were stress testing our devices to cater to your case and we just got feedback from our relevant advanced product specialists. We have just checked with our sources here physically and tested it out. The Core generally will still run it's fans when the device is still connected to the laptop via USB-C connection. That explains the Core to power off when the USB-C is disconnected from the Core to the Laptop. It is a normal design from our Core X and there is no specific explanation to it but it should affect anything from your setup and of the laptop. Can I ask you what your sleep/shutdown routine and experience is. 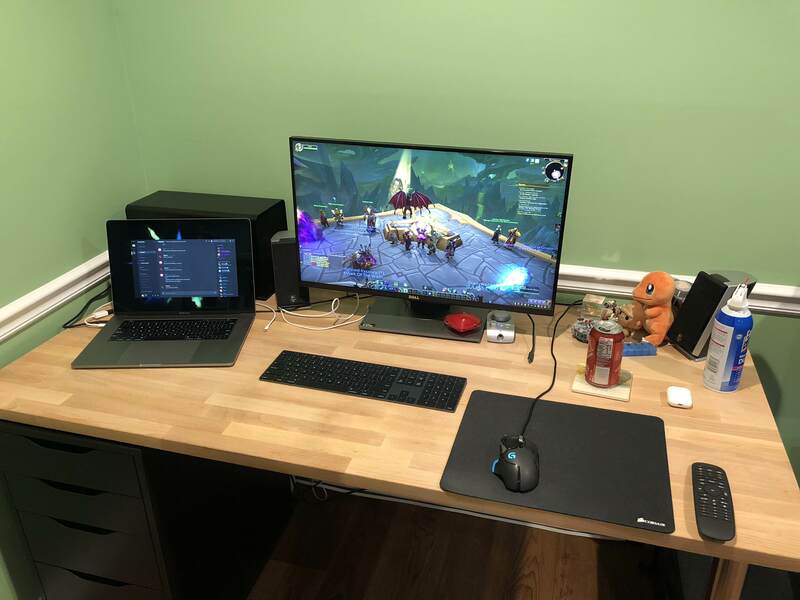 I have a very similar setup (MacBook Pro 13 2018 model, Core X, Vega 64). It docks fine, plug cable in wait 3 seconds and its all great. Hot plugging in is as I expect. I run in clamshell FYI. Its just when I come to leave the computer it all goes wrong. I've not found a solution yet. If I sleep it, not only does the core stay on, I come back and sometimes the mac seems to have logged out or crashed. If I click disconnect epgu it basically just logs you out and closes everything. If I turn it off I then have to open the mac and turn on everyday. So not ideal. I just want sleep to work so I can hit sleep and then come back to it like the good old days of docking.